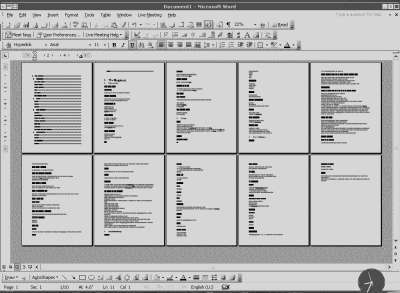 In the 2007 NaNoWriMo forums, I wrote a post about how I used Freemind to plot my novel. Unfortunately, NaNo forum posts go away each year (it doesn’t look like they are archiving the sites anymore). Fortunately, tonight is the last night before they wipe the databases and I have pulled out the essence of that thread. 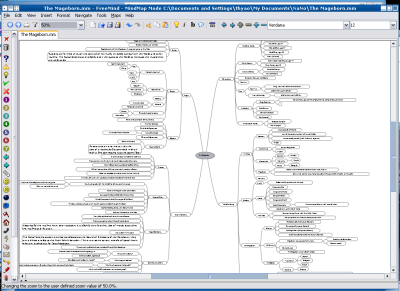 Freemind is a very nifty open source software that doesmind-mapping. Written in Java, it runs on multiple platforms and is extremely useful for brainstorming and organizing information. Earlier this fall, I used Freemind to create a handy chart mapping the emotional response in readers to plot points. I am also using it to organize all of the background information for my novel. For some things, it is easier to go through it in this all-text format. It uses heading levels for all but the end leaf nodes, which allows one to generate a table of contents that is hyperlinked to the nodes. Just wanted to share that with folks. P.S. Freemind has zoom levels, folding/unfolding and drag and drop positioning of the diagram to help people navigate the mindmap, no matter how complex; still, it can sometimes be useful to deal with text in an editor like vim. I was thinking about using Freemind this year and was playing around with it today, when I had a sorta kinda cool Idea. 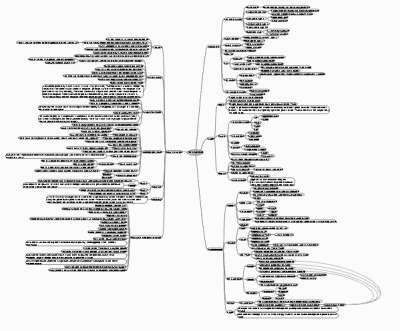 I exported my mindmap as a jpg then uploaded it to a site I use called Blockposters.com (www.blockposters.com) and turned my mindmap into a giant map for my wall. Its gonna hang right by my desk and eventually be covered in all sorts of notes and stickies. Thanks so much for the link! I gave it a try (note: the jpeg has to be less than 1 Mb, so I had to save it with 90% quality) and am very pleased with the result. Now if only I can find a wall space big enough to hang the resulting large image… (Update: folks should also take a look at PosteRazor (open source software at sourceforge.net) that turns images into pieces of a larger poster (just glue/tape the pages together)).